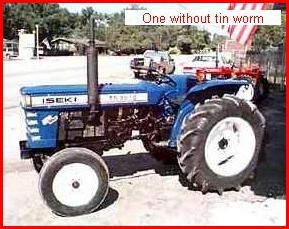 Japanese 3 cylinder 35hp agricultural tractor very similar in size and capabilities to a Ferguson MF35 but, by no means, a copy of one. The hydraulic rams are for the foreloader. 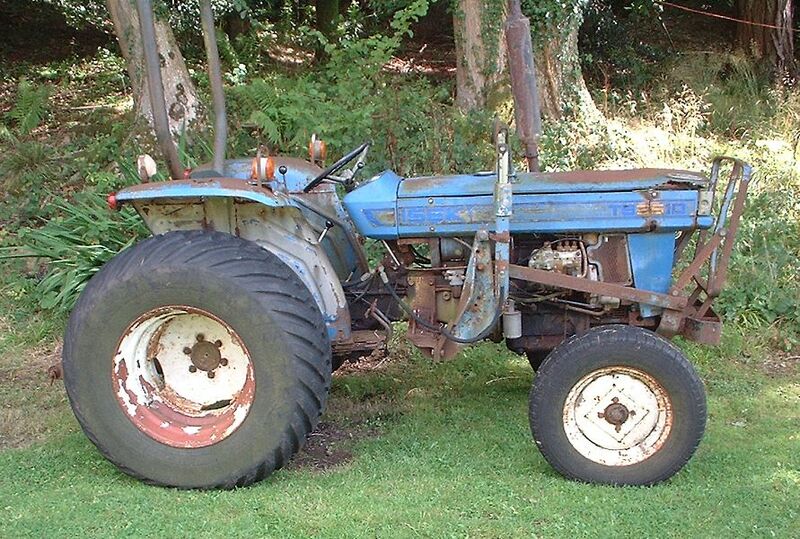 Possibly the only tractor in the world with H rated (130mph) front tyres (which came from a Range Rover). in about 1990 as, at that time, I was living in the remains of Fonthill Abbey where I had about 5 acres to mow. Apart from needing a new water pump it's been incredibly reliable despite almost total neglect but the tin worm is fairly active.